The Kerala State Inland Navigation Corporation are now hosting ferry services to the public along the Fort Kochi-Vypeen route. 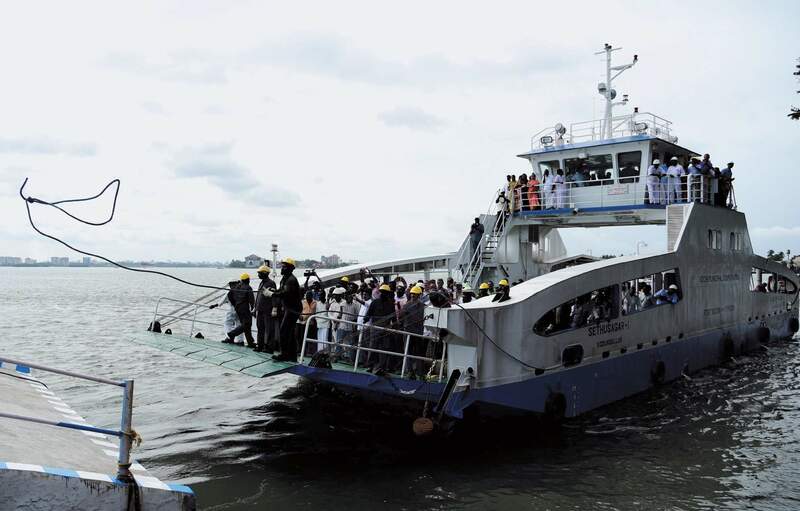 KOCHI: Not just Ro-Ro, the Kerala State Inland Navigation Corporation (KSINC) is also being asked to helm passenger ferry services along the Fort Kochi-Vypeen route. The Kochi Corporation, which had earlier planned to entrust the KSINC with the operation of Ro-Ro (roll-on roll-off) services only, is now making its latest plans following the request of the public and the councillors. The Fort-Vypeen People’s Collective had also urged the Corporation not to authorise any private agency to run the ferry services. “We are getting several requests from the people and the councillors in this regard. Talks are on to hand over the ferry services to KSINC instead of private parties as there had been complaints against their operations last year,” said Mayor Soumini Jain. “Though I called up the KSINC managing director Tom Jose, he sought some time to discuss the details with other officers. We hope a meeting with KSINC’s top officers in this regard will be held in a couple of days,” she said. The Corporation is planning to launch the ferry services along the route by the first week of July. It is also working to form a Special Purpose Vehicle (SPV) to conduct the services. “We have taken steps to form an SPV for operating the vessels. A final decision in this regard will be taken within a few months,” Jain said. KSINC managing director Tom Jose confirmed he had a talk with the Mayor. “The Mayor enquired about the possibility of operating both the Ro-Ro and passenger ferry services by KSINC. A detailed proposal will be submitted to the Corporation soon. We will take a final decision after the meeting,” he said. “Since the Ro-Ro vessel was constructed by the Cochin Shipyard, we do not possess its plans and designs. This needs to be discussed. Discussion on maintenance, a major task, will also be on the agenda,” said a KSINC officer.